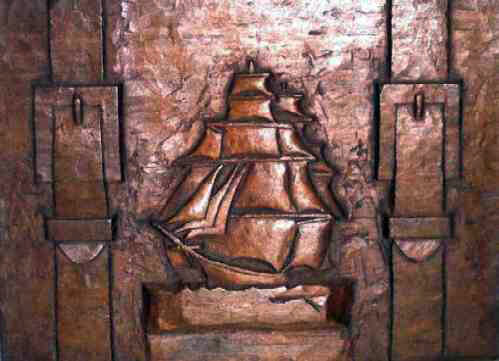 Presented here, a marvelously strong Folk Art Carving in bas relief of a two masted Windjammer running downwind under full sail. It is framed by two "serious" sailor belts of the period. A nice composition, well executed with a great patina. Hardwood. Size is 8" long x 6" high.